Ruboto is a framework and tool chain to develop native Android apps, using the Ruby language we all know and love. Ruby support can be added to any modern Android application by adding JRuby as a dependency. The Ruboto project aims to add some additional sample code to make the integration between Java, Ruby, and the Android platform a pleasant developer experience. The Apps created thereafter depend on JRuby (jruby-jars) at runtime to provide full access to Android's Java APIs. Installation is straight-forward and easy. Please read the Requirements. 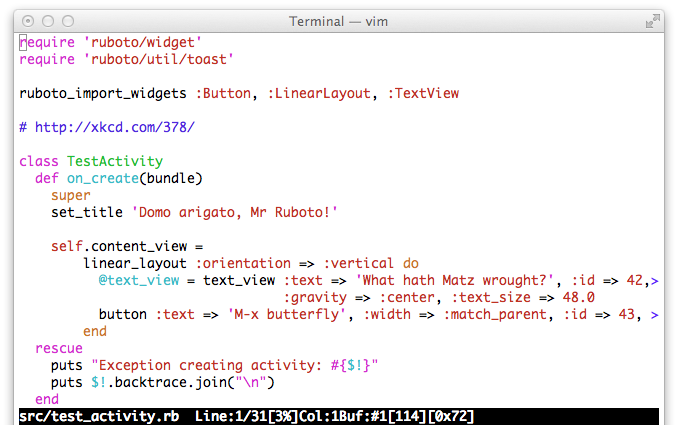 Ruboto has a command-line interface which lets you complete common tasks quickly and painlessly. 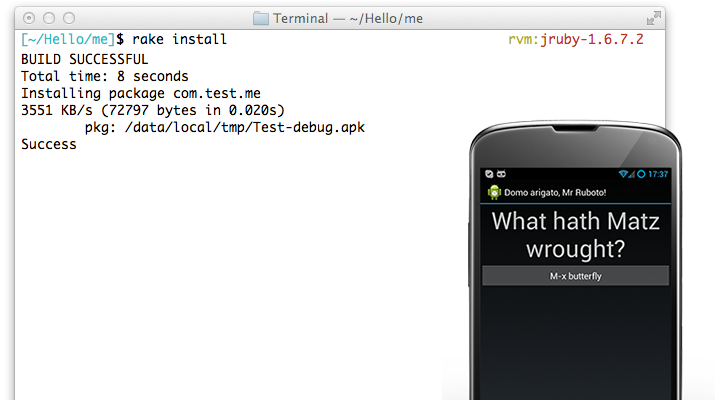 Use Ruby to access the Android API and test your apps. Deploy to your device or simulator quickly. Even without terminating the process.